It took a stubby-tailed colt owned by a family of Orthodox Egyptian-American Jews to do what many experts said was impossible: Win Thoroughbred racing’s Triple Crown. American Pharoah went wire to wire to win the 1½-mile Belmont Stakes by 5½ lengths Saturday, June 6, adding the victory to his wins in the Kentucky Derby and Preakness Stakes over the previous five weeks for the first Triple Crown since Affirmed in 1978. American Pharoah became the 12th horse ever to win the Triple Crown. Thirteen colts won the first two legs of the Triple Crown but failed to win the Belmont in the 37 years between successes. That gap led horse racing observers to conclude that the modern Thoroughbred is not capable of winning three grueling races in five weeks. 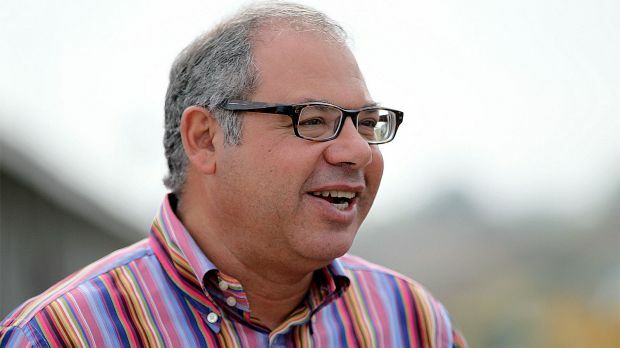 The owner of American Pharoah is Ahmed Zayat, 52, an Orthodox Jew who grew up in Cairo under Gamal Abdel Nasser and Anwar Sadat and came to the United States in 1980 for college. 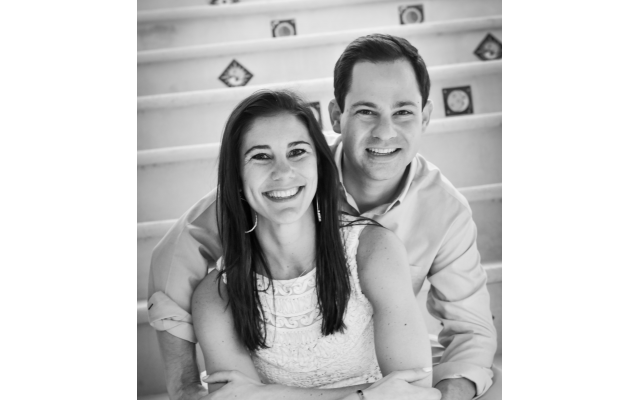 He now lives with his wife and children in Teaneck, N.J. The Zayats spent Shabbat in an RV so they could walk to and from Belmont Park on Saturday. The winning jockey, Victor Espinosa, is not Jewish, but he prayed at the grave of the Lubavitcher rebbe in New York on Thursday, according to the Jewish Telegraphic Agency. Zayat tried to sell American Pharoah when he was yearling, but a bump on the colt’s leg scared buyers at an auction. Zayat Stables, which had bred him, wound up buying him back for $300,000. He has now earned more than $4.5 million while winning seven of eight career races and the title of 2014’s champion 2-year-old colt. Zayat sold American Pharoah’s breeding rights before he won the Belmont, but he said the colt’s racing career is not over. While trainer Bob Baffert will decide where and when American Pharoah will run again, he’ll likely race at least once during the summer, then enter the $5 million Breeders’ Cup Classic at Keeneland in Lexington, Ky., on Oct. 31. No sooner had we touted Sepp Blatter’s seeming invincibility as the head of soccer’s international governing body, FIFA, than he announced his resignation amid the growing scandal that at least temporarily protected Israel from efforts to oust it from international competitions. The exact date of Blatter’s departure isn’t known. FIFA has to call a special meeting to elect his successor, and that vote is at least four months away. Israel, meanwhile, plays at Bosnia-Herzegovina at 2:45 p.m. ET Friday, June 12, in qualifying for the 2016 European Championships. The game will stream live on ESPN3.com. The NHL’s Atlanta Thrashers are long gone to Winnipeg, and the Atlanta Flames even longer gone to Calgary. If you’re left wondering whether to favor the Chicago Blackhawks or the Tampa Bay Lightning in the Stanley Cup Finals, there’s this: The Lightning have a Jewish owner, Jeffrey Vinik. The Lightning, who won the Stanley Cup under different ownership in 2004, split the first two games of the best-of-seven series at home. The World Series of Poker is best known for the $10,000-buy-in main event, whose champion last year won $10 million, but the series actually has 68 events and began May 27. Jewish player Robert Mizrachi of Miami won Event 3, an Omaha high-low tournament with a $1,500 buy-in, for $251,022. An Israeli, Idan Raviv of Holon, captured Event 12, a six-handed no-limit hold’em tournament, for $457,007. It was the second consecutive year an Israeli won a WSOP title.